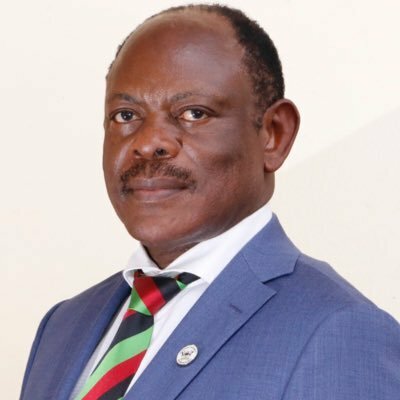 Makerere University Vice Chancellor Prof.Barnabas Nawangwe has said he is not aware of the ongoing strike at the university despite a declaration by the staff to go full blast with their industrial action. The university staff members in a joint general assembly on Monday resolved to totally withdraw all labour following the refusal by Prof.Nawangwe to lift suspensions on their leaders. However, in a communication to staff, Nawangwe said the resolutions are not binding because the pronouncement came at a time when the university has returned to normalcy. “This pronouncement is made at a time when 85% of the university has returned to normalcy and business is running according to schedule in most colleges except the School of Law,”Nawangwe said. Here is Prof.Nawangwe’s circular in details. A section of members of staff have continued to mislead students and members of staff with pronouncements of what they term industrial action. I wish to inform the University Community, that neither Council nor Management has received an official notice of industrial action as required by Law from any of the staff associations. This afternoon, a section of the members of staff once again met in the Main Hall and made pronouncements about the continuation of purported industrial action. This circular serves to inform all the stakeholders, particularly the members of staff and students, that Makerere University is open and will remain open for normal business. All staff, who are carrying on with their official business are encouraged to continue doing so without intimidation. All members of staff and students are encouraged to disregard the illegal pronouncements by a section of the staff. All staff who have not resumed duties are hereby directed to do so immediately. We cannot allow a situation of anarchy to continue while the students are suffering. Any attempts by sections of staff to disrupt normal business at the University will be dealt with firmly. Those who do not want to work MUST allow those who want to work to do so. Let me assure the University Community that Council and Management will address any issues of concern to the staff as communicated earlier by the Chairperson of Council through legal avenues.